You are here: Home / Marketing / Beginning Engagements / Here’s how to Launch Your Speaking Ministry! Do you feel called to be a speaker–but you don’t know how to turn that dream into a reality? Maybe you’ve had a few speaking engagements, but you don’t know how to get any more. Maybe people have asked you to speak, because they’re sure you have that gifting, but you’re not even sure what to speak about. Or maybe you have an amazing life story or a message that’s just burning on your heart, and you so want to share it with people to point them to Jesus. Those desires are usually from God. He wants people out there sharing the gifts He’s given them and sharing the message He’s given them! But the problem is in the details, isn’t it? Just because you have a message doesn’t mean that you can land a speaking engagement. I’ve been speaking since 2002, and today I speak to audiences from 150-1500 dozens of times each year, taking three different RV speaking tours with my hubby in tow! But for the first few years when I was speaking I did it all wrong. I spent money on the wrong things. I didn’t have a way to follow up after speaking engagements. I didn’t understand what the purpose of a talk should be, and how to lead people to Christ. I didn’t have a way to generate word of mouth to get me more engagements. 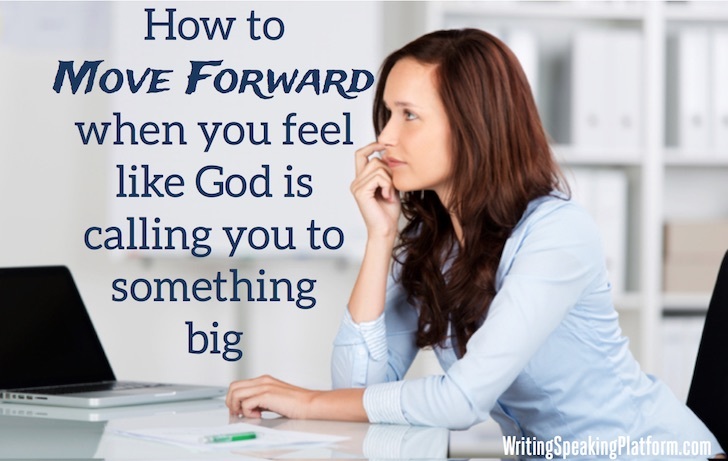 And so I was spinning my wheels for six years, sticking to it doggedly because I was sure that God had called me to this–but I wasn’t seeing many results. Then I started reading about how to actually build a community and how to market oneself effectively and ethically on a shoestring budget–and everything changed. I want to teach you how to do what I do now. I’ve created a course called “Launch Your Speaking Ministry” that will walk you step-by-step–in fact, baby step by baby step–through everything you need to generate the first speaking leads, choose your topic, write a life changing talk, and then make the most of those engagements so that you’ll get more requests from them. I’ll teach you how to appear professional, right from the start. I’ll make it much easier for you to talk money with groups once the time comes. And I’ll take the worry out of getting more speaking engagements by showing you how to put in place–right now, before you even begin–everything that you will need to help people find you and hire you! This is a seriously in-depth course. I’m sharing all my secrets (because I don’t want them to be secrets–I want people to do this right so that more of us can be spreading God’s message to people!). And I know you’ll benefit from it. It’s just $79, and you’ll get a mixture of video, audio, worksheets and checklists, and more. But here’s what’s really cool. This course is part of the Genius Bloggers’ Toolkit, which is on a special flash sale until tomorrow (Tuesday) at midnight EST. Then it’s gone forever! It’s $5000 worth of courses, ebooks, printables and online apps to help you succeed at generating word of mouth and growing your ministry. And the Bloggers’ Toolkit is only $97. That’s only $18 more than the speaking course. So right now, you can get my speaking course PLUS another $4900 resources for just $97. You’ll find the toolkit so helpful in conjunction with my course! For instance, I show you how to get people to sign up to your newsletter so you can generate word of mouth. — > The Toolkit shows you how to produce those newsletters, send them out, and grow your list! I talk about creating products to sell at your events. — > The Toolkit shows you how to format ebooks, launch your ebook, create an online course, find people who will want to buy your online course, and launch it successfully. You’ll even get a three month subscription FOR FREE to a service that will send out your newsletters for you and host your online courses, so you can just try it out and see if it works for you. I talk about networking with people to find hidden speaking leads. — > The Toolkit has a whole course on how to network and keep track of contacts and build your influence. It’s absolutely amazing. I’ve honestly NEVER seen such a great collection of resources. I’m going to be totally honest with you here. I actually make more money if you just buy my speaking course. But I don’t want you to do that. I would rather take a cut in pay and have you buy the Genius Bloggers’ Toolkit, because you’ll still get my speaking course, but you’ll also get all of these other amazing resources that will help you grow your ministry so well. And that’s my real goal–to help you spread the message God has given you. You don’t have to work through all of the dozens of courses and books in the toolkit. Choose just 2 or 3 that work best for you, and work through them in conjunction with my Launch Your Speaking Ministry course. And if you do that–I can pretty much guarantee you that you will start to see some bookings on you calendar! But the Genius Bloggers’ Toolkit is gone Tuesday at midnight EST. That’s how they can afford to sell it so cheaply–people give them the right to sell their materials, but it’s only for a limited time. So check it out now, so you don’t regret missing it!